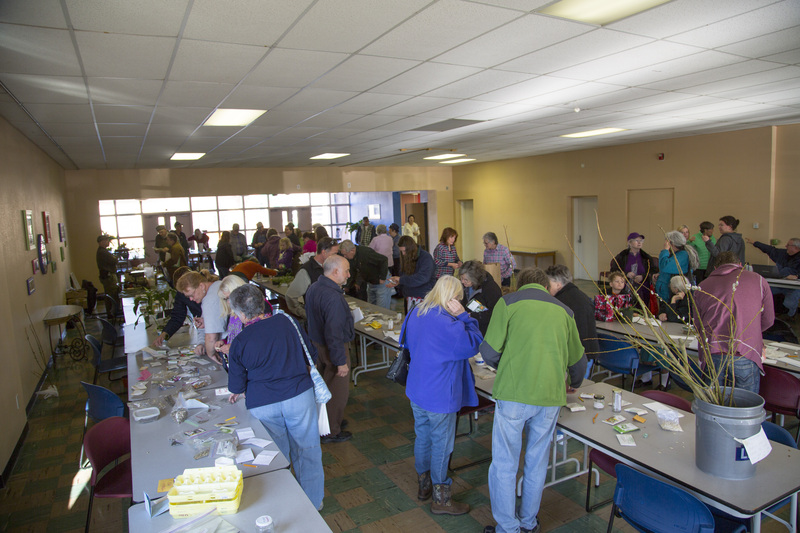 High Country Seed Swap & Growers School: Saturday, 3/12 at Family Central 8:30 a.m. – 1:30 p.m.
On Saturday, March 12, 2016, all aspiring and practicing area gardeners are invited to Ashe Family Central (the former Ashe Central High School in Jefferson) to the High Country Seed Swap. The event features a day-long open exchange of seeds, plus a workshop on seed starting and another on apple tree grafting taught by area experts. Beginning at 8:30 a.m., gardeners will be able to display their own surplus seeds and view the offerings of others on tables set up in the cafeteria space. The seed swap will continue throughout the morning and early afternoon. A “Totally Tomatoes” workshop taught by Ashe County Extension Agent Travis Birdsell will run from 9:00 a.m.-10:00. The grafting workshop and fruit-scion-wood exchange will be held from 10:15 a.m. – 12:30 p.m., led by nationally known apple experts Ron & Suzanne Joyner. Gardeners are encouraged to bring any surplus seeds, bulbs, corms, plants, and fruit scion wood they can to exchange. Seed swaps operate on the honor principle that gardeners will bring what they can this year, grow what they take from this swap, and bring more seeds from their crops to next year’s seed swap. The event is free and open to all gardeners and farmers in the area. For more information, e-mail richard_boylan@ncsu.edu or call the Watauga or Ashe Cooperative Extension centers at 828-264-3061or 336-846-5850. Concurrent with the Seed Swap, the Ashe County Farmers Market membership gathers to register and prepare for the season. This year, the Ashe County Farmers Market welcomes (for the first time) farmers from adjacent counties (Johnson, TN; Grayson, VA; Wilkes, NC; Alleghany, NC; and Watauga, NC). Growers producing homegrown edible farm goods (i.e.-fruits, vegetables, meats, cheeses, eggs, etc.) may apply during the Seed Swap/Expo event.